Professional resume writers are trained to take all your valuable work experience, education, and skills and transform them into a resume that will attract the attention of human resource departments and recruiters. These people are the individuals you need to impress to land a job, but it is not as easy as it might seem.A recent survey conducted by TheLadders suggests that HR department personnel and recruiters spend only 6 seconds looking over a job applicant’s resume. 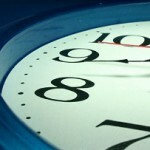 That does not give you much time to make an impression, which is why having a resume written by professionals can help. Using professional resume services allows jobs applicants to create a stellar, stand-out resume that will help land them a job of their dreams. 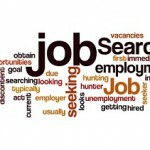 The following are some of the benefits that can come from using professional resume writers. When HR departments and recruiters are looking at your resume for 6 seconds, they are scanning it for specific keywords and phrases that stick out. Professional resume writers are trained to weave these keywords and phrases into a resume using the experience and education that you provide them. Besides using commonly sought-after keywords and phrases, professional resume services also know what words and phrases to avoid. Many HR departments and recruiters have specific phrases and keywords that represent an inexperienced candidate for a specific position. Resume writers will try to avoid using these phrases when creating a resume. One of the hardest tasks people have when writing their own resume is formatting. A resume that is not properly formatted will automatically be disregarded by HR departments and recruiters. 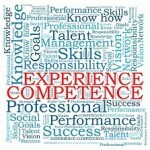 Professional resume writers can help with formatting. These individuals are trained to properly format a resume so that everything stands out to a recruiter/HR department. This can include placing contact information at the top, listing skills and qualifications, and outlining previous work experience and educational background. Besides the proper placement of information, these resume writers will know what fonts to use. They will use fonts that are properly sized to make the entire resume look clean and professional. A big mistake, and one that will automatically ruin any chance of landing a specific position at a company, that many job applicants make is submitting a resume with errors. Grammar and spelling errors will make a job applicant appear unprofessional and uneducated. Professional resume writers will create an error-free resume that is ready for submission the minute you receive it. The resume writers will take the information that you provide and write up a resume that outlines your experience, educational background, and qualifications in a way that is grammatically correct and free of any spelling errors. 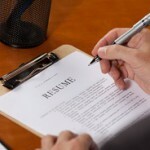 A resume is your one (and sometimes only) chance to impress a recruiter or HR department. 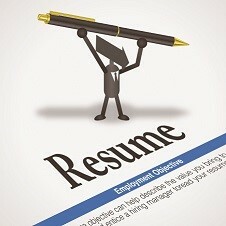 Using professional resume writers allows you submit a resume that puts your best foot forward when applying for a job. Let one of our affiliate resume writers write you a professional, attention grabbing resume!